This is the traditional ceramic crock bottling of Lockes 8 Year Old single malt. 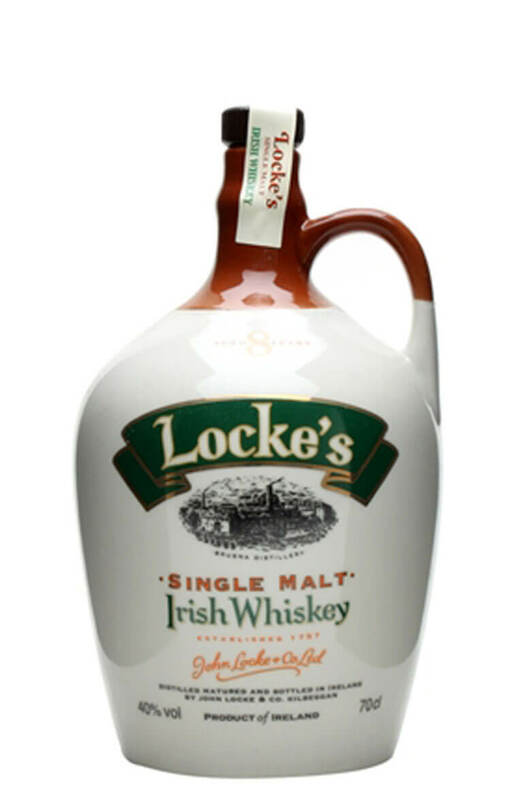 Lockes 8 year old single malt was first released in 2000 and is double distilled in traditional pot stills, 10% of the malt is peated. Using whiskeys aged between 8-10 years it is medium bodied with plenty of fruit and spicy oak. For my money this is the best value Irish Single Malt. This won Gold Medal and Best in Class in the 2009 International Wine and Spirits Awards. Types of Barrel used for Aging Mostly new ex-bourbon barrels, with some second and third fill casks used. Jim Murray, Author of A Taste of Irish Whiskey "A very tasty dram, with a clear malt-intense in the Speyside style. The sheer intensity of the malt is sublime."